Dawson’s Creek changed the landscape of teen dramas when it premiered on the WB’s midseason lineup in 1998. Complex language, frank talk about mature topics, and the first gay kiss on television were among its lasting legacy. Scream writer Kevin Williamson created the concept and penned many of the scripts, inspired by his own life. He drew from high school friends and his dreams of Hollywood to create Dawson (James Van Der Beek), Joey (Katie Holmes), Pacey (Joshua Jackson), and Jen (Michelle Williams). The series launched the core four into the TV stratosphere and made them household names. Meredith Monroe, Kerr Smith, and Busy Philipps all joined the series in later seasons, but left lasting impressions on the audience as well. Despite a loyal fan following and plenty of success in the eyes of the tiny WB network, a few bumps occurred behind the scenes. The series almost wasn’t on the WB, executives weren’t too keen on some members of the young cast, some of the cast didn’t even get along, and the budget often didn’t allow producers to do what they really wanted. After pouring through old interviews, DVD commentary tracks, and cast reunions, we’ve uncovered 15 Behind-The-Scenes Secrets You Never Knew About Dawson’s Creek. Since the end of Dawson’s Creek, late addition Busy Philipps has spoken candidly about her time on the show. She even revealed that her hard partying caused script rewrites. Filming in Wilmington, North Carolina allowed the cast to enjoy letting loose away from the prying eyes of Hollywood. The actress told Wendy Williams that, while being interviewed, she was so drunk one night that she dislocated her knee while at a local bar. After spending some time in the emergency room, Philipps had to stay off her leg for a few weeks. Writers and directors reworked the next two episodes so that her character Audrey spent her time laying in bed or sitting in a chair to accommodate the injury. Despite the close-knit cast and some of the life-long friendships made on set, not everyone enjoyed their Dawson’s Creek experience. Monica Keena played Abby Morgan, the high school mean girl in the early days of the show. As a recurring character, Keena spent her time flying back and forth between North Carolina and Los Angeles for work and to see her boyfriend. When the back and forth became too much for her, Keena asked for her character to be written out. Abby drunkenly fell to her death off a pier as a result. Likewise, John Wesley Shipp played Mitch Leery, father to the title character, in early seasons of the show. As the show moved the main characters into adulthood, Shipp realized that there would be less for him to do and asked to leave. Mitch then died when he dropped an ice cream cone while driving. Anyone even slightly familiar with Busy Philipps’ interview style knows that she isn’t shy about telling the truth about behind the scenes conflict. She spilled the beans that Katie Holmes didn’t speak to her former Dawson’s castmates once she married Tom Cruise, once disliked her Freaks and Geeks costar James Franco, and also hates her former Dawson’s costar Chad Michael Murray. What exactly transpired between the two isn’t known by the public, but Philipps discussed not liking Murray from the moment that they met in multiple interviews, including members of the cast appearing at the Paley Center in 2009. Philipps met Murray on the plane from California to North Carolina when both of them joined the show for the college years. She described him with some choice words that we can’t reprint and explained that she wasn’t worried about burning any bridges there. Dawson’s Creek saw controversy before the show even began airing. In addition to some executives and reporters wondering if teenagers really use the five syllable words that Dawson and Joey pulled out in the pilot, sponsors disliked the direction that the show had planned to go. Procter and Gamble wasn’t just a sponsor for the show, but also a production partner, with the company receiving a producing credit for their financing of the show. Just before the series aired, the company pulled their sponsorship after hearing about storylines on the way. Sponsorship for the series disappeared as a result of the mature content in the first few episodes of the series. The pilot episode featured a discussion about just how often Dawson Leery “walked his dog,” and later in the season, Pacey Witter had an affair with a teacher. However, audiences today wouldn’t bat an eye at what was considered scandalous for Dawson’s Creek. Though TV audiences know Dawson’s Creek for being one of the teen dramas that put the WB on the map, it didn’t always belong to the network. Instead, FOX originally purchased the series for a development deal with Kevin Williamson and producer Paul Stupin, but executives changed their minds. Several of the writers for the series reunited at the ATX festival in 2015, and Stupin shared the story with reporters. It was Stupin who brought the finished pilot script to the network. Supposedly a done deal, by the time Christmas break rolled around, the network decided that they didn’t want it. FOX had difficulty keeping Party of Five on the air at the time and decided they didn’t want another teen drama. Stupin recalled the FOX executives wondering if teens really “talked like that” as well. When Kevin Williamson returned to pen the series finale and its time jump, one character was noticeably absent: Audrey. Busy Philipps didn’t like that one bit. Philipps starred in seasons five and six as the college roommate of Joey Potter, but when WB asked for a special finale by Williamson, he didn’t include her in the script, instead only sticking with the characters he brought to the show. Despite the outcome, Philipps’ experience on Dawson’s Creek wasn’t all bad-- she met her best friend Michelle Williams while working on the show. The two remain close and are godmothers of each other’s children. Paula Cole’s “I Don’t Want To Wait” remains forever linked to the show, but it almost wasn’t the theme song. Instead, Alanis Morissette’s “Hand In My Pocket” nabbed that honor. The only problem was that getting the rights to broadcast it were out of the show’s budget. Producers happened to hear Cole’s song used for a network promo and asked if it was in the budget instead. It was. When it came to the DVD releases, though, fans purchasing the discs noticed that the music heard there wasn’t what played in the original broadcast. The cost of the music chosen for the broadcast to be used for the DVDs was also out of the network’s price range. Even for international broadcasts of the show, the music changed to less expensive options. A lot of actors claim difficulty seeing themselves on screen, and for Dawson himself, that’s also the case. He refuses to watch the series beyond a certain point. While the series was on the air, Van Der Beek watched up to season four, but he found the seasons beyond that, which included the characters headed off to university settings, “stressful.” In fact, he hasn’t seen the show past that season at all, including the much talked about series finale. When Van Der Beek met his future wife, it was a plus that she wasn't familiar with the series. The actor didn’t have to worry about her associating him with a teenage love triangle that still makes adults argue 20 years later, his crying meme, or that ill-conceived relationship with a woman named Eve. When the series introduced Jack McPhee, he immediately became a new love interest for Joey Potter and a roadblock to the star-crossed Dawson and Joey. He later revealed himself to be gay. Jack’s storylines were historic for teen television. The writers handled him coming out with sincerity that came from some of their own experiences. 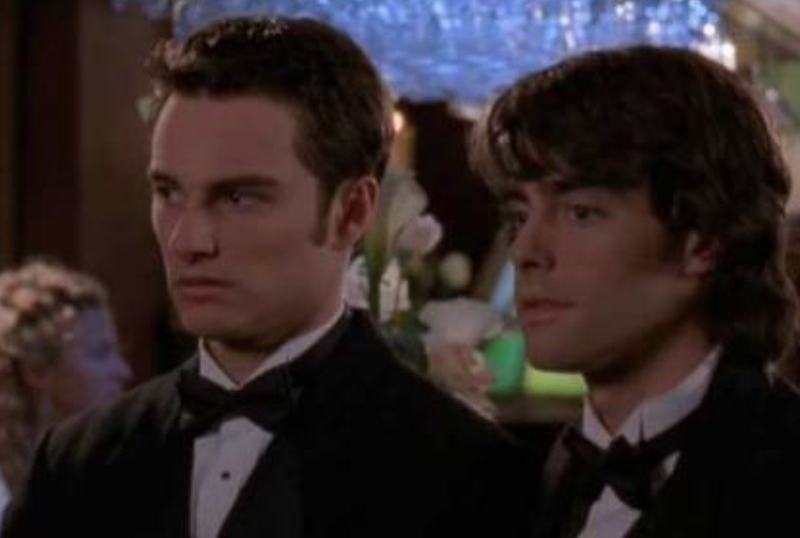 Kerr Smith then participated in the first gay kiss in prime time television. Much of the audience had no idea that Jack was gay when he was introduced, and that’s exactly how Kevin Williamson wanted it. Williamson, in a DVD commentary track, revealed that he planned for Jack to be gay when the writers originally discussed the character, but told no one because he didn’t want the writing or the actor’s performance bogged down with stereotypes or preconceived notions. There was no pushback from the network over the decision either. The only note given to the writers was to make sure Jack wasn’t vilified for dating Joey before revealing how he felt. As Dawson’s Creek neared its end, the writers’ room drafted “Joey Potter and the Capeside Redemption” as the finale, but it ended up not being the series finale at all. Instead, the episode aired as the penultimate chapter in the lives of the kids from the Creek, and Kevin Williamson wrote his own series finale special. At that point Williamson had already left the series to focus on another project, but executives at WB weren’t satisfied with the finale they had. WB then reached out to Williamson to ask him to write the finale. Once Williamson agreed to return, WB gave him nearly free reign to do what he wanted to wrap up loose ends, including jumping the story ahead five years, killing off a major character, and allowing Joey to make her final decision between Dawson and Pacey. Not long after the series ended, there were rumors that Michelle Williams distanced herself from many of the cast members on the show, especially Katie Holmes, but those rumors seem to be rooted in the actress’ insecurities. When speaking with Huffington Post in 2012, Williams explained that there were times when the show focused primarily on the love triangle of Dawson-Joey-Pacey so much that there would be less pages for her in the script. A sudden decrease in her workload left her feeling insecure and wondering what she did wrong. It was Van Der Beek who helped Williams realize that with less of an attachment to the show, she would have the easiest time transitioning into other projects. A few Oscar, Golden Globe, and BAFTA Award nominations later, and he was right. 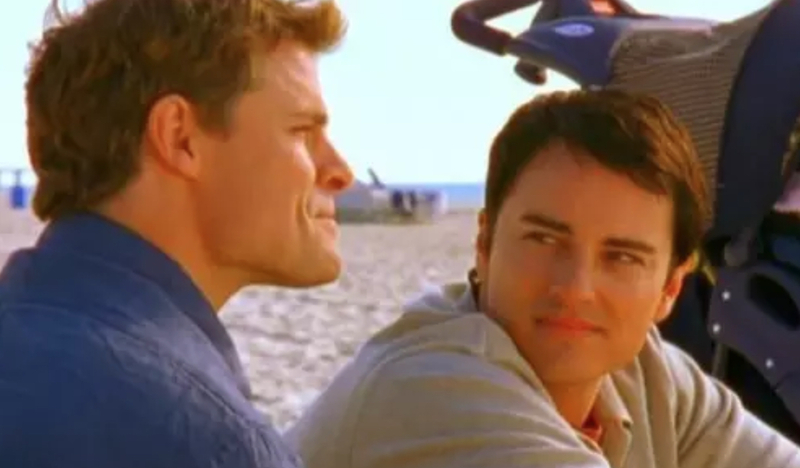 Jack became a fan favorite and shared a large part in the series finale, becoming the guardian for Jen’s little girl, but Kerr Smith disliked one major thing about his character’s final story. The series closed on Jack’s story by revealing his relationship with Pacey’s big brother Doug. Pacey spent much of the early years of the show teasing Doug for being gay, though his brother always protested. Smith saw the decision to pair the two as something of a cop out -- the only two gay men in Capeside happened to wind up together. It also raised questions for the audience as to whether Pacey had genuinely believed that his brother was gay all along, or if the constant ribbing led the writers to make the decision in the end. Every studio and network wants to know if they have the perfect lead actor in a role. Sometimes, the executives with the final say don’t have the same actors in mind as the showrunner, as was the case with Dawson’s Creek. Though most of the cast was set, the show still needed its Dawson when Sony flew James Van Der Beek out to test in front of several executives. “I don’t know. He didn’t walk in the room like a star,” was the feedback from the audition, according to Van Der Beek himself. Van Der Beek wasn’t the only star with a rough audition-- Joshua Jackson actually put people to sleep. Like Van Der Beek, Jackson flew out to audition for the role of Pacey in front of Sony studio executives. Also like Van Der Beek, there were some who didn’t think he made a great impression, though instead of vocalizing it, they fell asleep. One executive in particular slept so hard he began snoring during Jackson’s audition. Jackson had already been put through the ringer for the series-- he already auditioned for both Dawson and Pacey by that point. He sure it was his last chance and that the part would go to someone else. Jackson, however, heard not long after that he nabbed the role. Maybe that executive didn’t get a vote. The term “jumping the shark” comes from Happy Days employing a stunt that indicated the show overstayed its welcome. 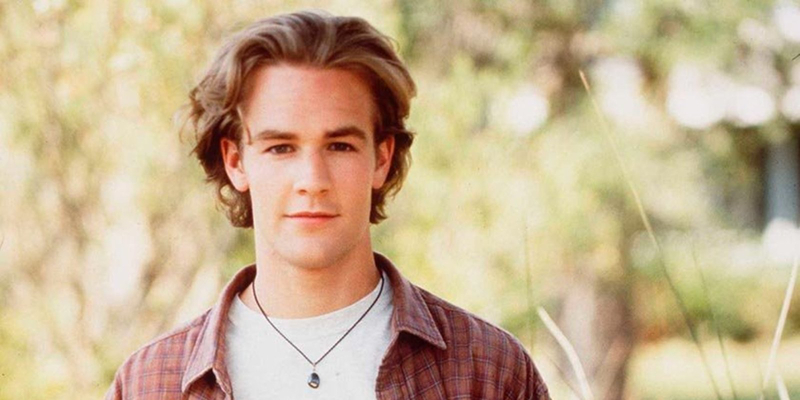 James Van Der Beek knows exactly when Dawson’s Creek did just that. Van Der Beek appeared on Bravo’s Watch What Happens Live With Andy Cohen earlier this year and decided the series had its shark jumping moment pretty early on-- in season two. He declared the show began going downhill “when I had to wear a wire to implicate Joey’s father for a drug deal gone bad." This means he thinks the series wasted its next next four years. Of course, Van Der Beek did get the scenario a little wrong. It was Joey who wore the wire, getting her own father to confess, as she tried to prove Dawson wrong. 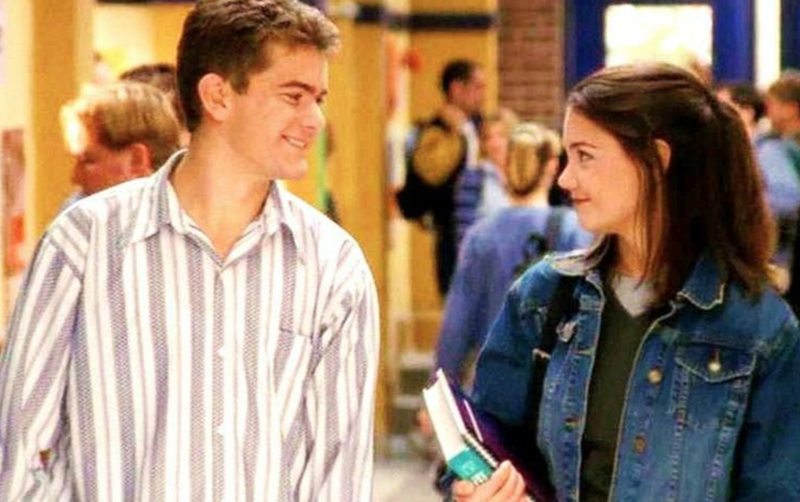 The decision strained their friendship almost beyond repair and pushed the show in a whole new direction-- toward Joey and Pacey. 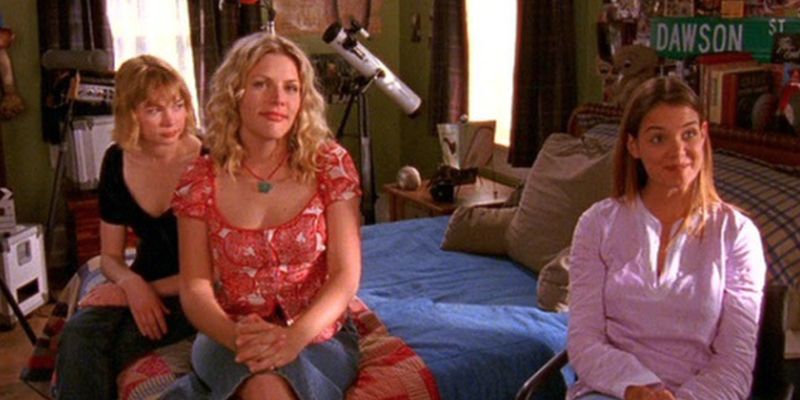 Did you learn something new about what went on behind the scenes of Dawson’s Creek? Did we leave out details everyone should know? Tell us in the comments!